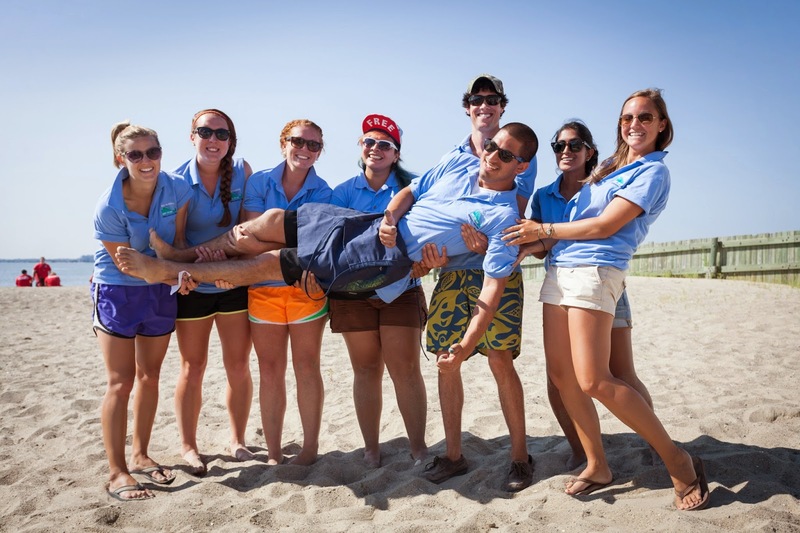 Sea, Sand & Sky: 2014 Beach Bash and Splash! 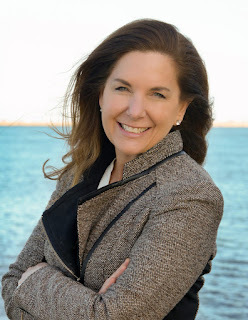 Last Friday was Save the Harbor/ Save the Bay's fantastic Beach Bash and Splash Event! The Senior Harbor Educators having some fun before the event! My station for the day was the touch tank- Tom, Nhu, and I set up our clear bin with all sorts of critters! We had two lobsters from Pleasure Bay, a couple of Green Crabs, Asian Shore Crabs, some Periwinkle Snails, and even an oyster or two. 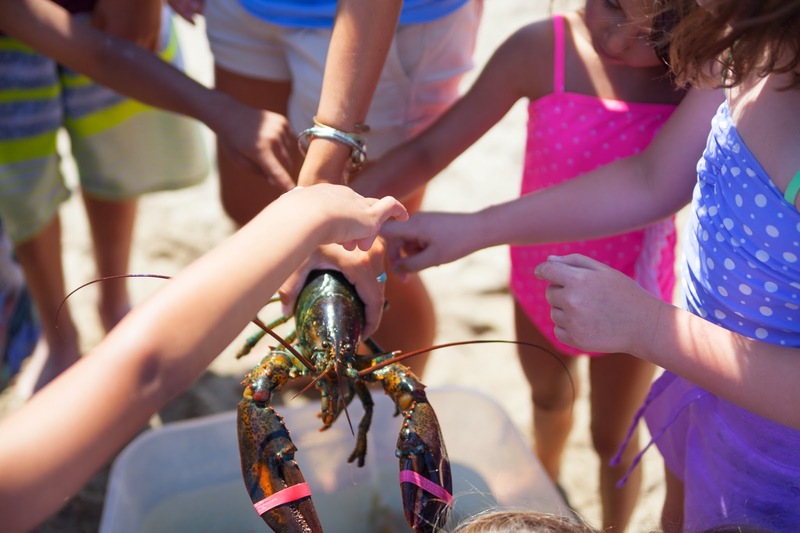 It was a very exciting station because the kids couldn't get enough of it, I kept seeing the same boys and girls returning with their friends to show them how brave they were to hold a lobster all on their own! A couple of the kids even enjoyed playing pranks on their counselors by holding our tiny Asian Shore Crabs up to their faces to scare them- one counselor screamed so loudly my ears are still ringing! After the kids enjoyed bouncing around from station to station, it was time for lunch. Around 1000 hot dogs, cheese, and carrots were on the menu- a delicious lunch after some fun in the sun! 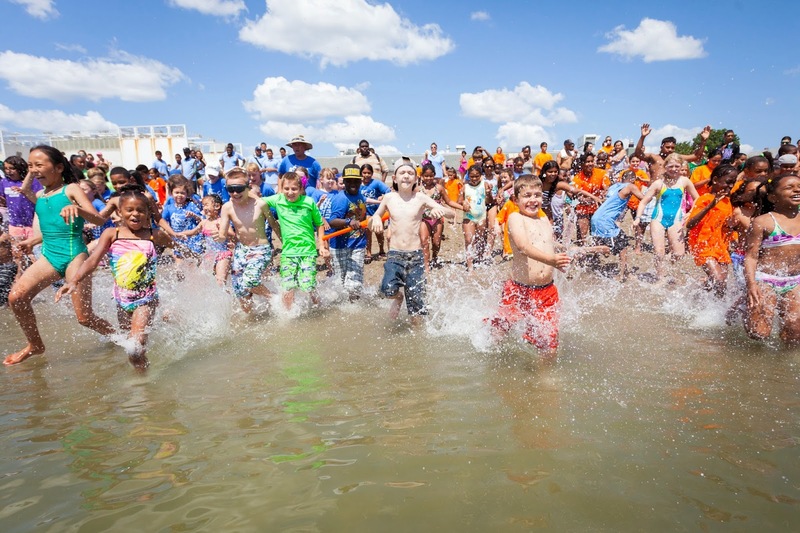 We then finished the day with the "Splash" part of the event- we got all of the kids together once they were done eating to sing our favorite Sea Chantey, Haul Away Joe, then instructed them to line up at the edge of the water. At the count of three, we all splashed into the water as one group! It was an incredible scene to witness, it's always so rewarding to see kids enjoying the Boston Harbor and all it has to offer!